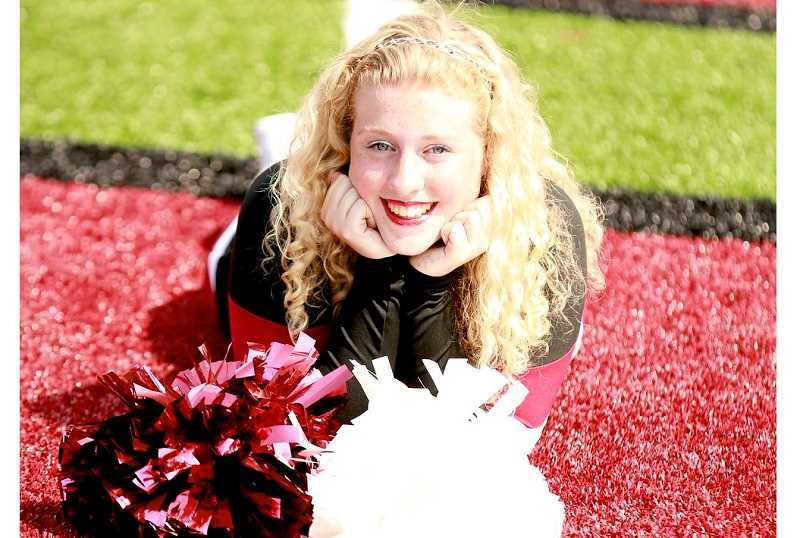 Several Sherwood High dancers and cheerleaders have secured spots on college teams. Not every high school athlete is fortunate enough to continue competing in college. But four recent graduates of Sherwood High School will bring their passion for cheerleading and dance with them to their respective universities. From the Class of 2018, three students will bring their pom poms and dance slippers with them to college in the fall: Whitney Groeger will cheer at Pacific University; Grace Daiker will join the dance team at Western Oregon University; and Cayla Basta will cheer at Oregon State University. And Kasi Lauer, a 2017 Sherwood High alumnus, is about to enter her second year on the University of Oregon cheer squad. For Groeger, cheering at Pacific University will be the continuation of a 10-year cheer career. 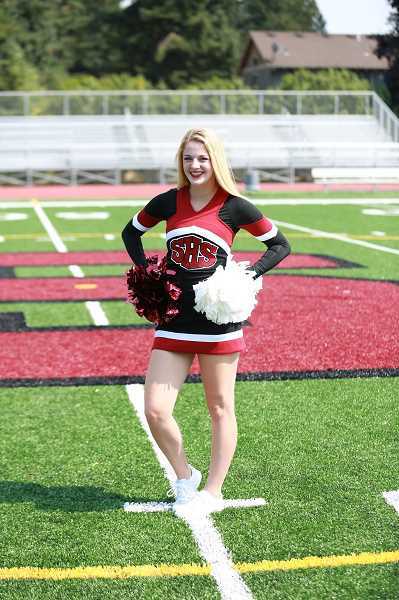 "My parents have always encouraged me to do a sport, because it's good for your health and keeps you exercising and moving," Groeger recalled when asked how she first got involved in cheer. "I played soccer for a while beforehand, but it just wasn't for me. I'd seen all these cheerleaders, and I had so many people say 'Oh my god, you'd be so good at this.' So I decided to go out for SYC (Sherwood Youth Cheer), and then I just fell in love with it. I've been doing it ever since." Groeger said that being on Sherwood High's cheer team for four years helped her develop strong leadership skills. It also kept her focused on her goals, and she pushed herself to nail new moves. "It just feels so good when you finally hit a stunt that you haven't hit before, and you get it perfect," she said. "You just feel on top of the world." Daiker's first passion is dance — in fact, this school year was her first time doing cheer, as it had always conflicted with her dance schedule before. A dancer since age 12, Daiker is used to putting in about 10 hours of practice per week. She'll bring that dedication and passion with her to Western Oregon. "It's a way that I let go of my feelings about certain things," Daiker said about dancing. "It's a way to express myself that's not about talking or words, and I want to keep that passion and that outlet in my life." Known for being able to jump higher and leap farther than most, Daiker plans to minor in dance. She's not sure about her major yet — maybe nursing — but she knows she wants to keep dance in her life, and perhaps teach it someday. Groeger plans to study pre-med at Pacific, and will live in the on-campus dorms at the Forest Grove college. She said she'll have to step her cheer game up, as there's more jumping and dancing at the college level. "Looking back on it, I feel like I should have been more hyped about it," Groeger said. "I was very hopeful that we would make it farther in the playoffs, and I'm kind of bummed that we didn't. But it was still so, so much fun, and I miss it so much."